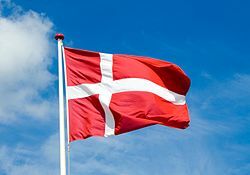 Members of a Danish banking collective, Bokis, have become the first in the country to offer mobile payments using Dankort, the national debit and credit card. Bokis includes 62 banks that form the small to mid-sized banks segment of Lokale Pengeinstitutter (the Association of Local Banks, Savings Banks and Co-operative Banks in Denmark), together with four Danish regional banks: Sydbank, Spar Nord Bank, Arbejdernes Landsbank and Nykredit Bank. Last year, it embarked on the project to launch a new NFC wallet solution, with the technology provided by Nets, a Nordic digital payments firm. The digital wallet for Android smartphones (linked to Mastercard and Visa international debit and credit cards) was launched last month. It has now been followed by a version for the iOS devices. “And, for the first time, we are enabling customers to link their Dankort to their device,” Bokis states. It says it is now “providing nearly half of the country with a mobile payments facility”. Jan Kondrup, director of Bokis and Lokale Pengeinstitutter, describes the launch as a “milestone” the company is “extremely proud of”. “It reflects the culture of innovation that fuels the Bokis collective,” he states. Danish consumers can use their smartphones to pay with Dankort in a number of stores, including Denmark’s largest retailer, Dansk Supermarked. Many more retailers are expected to follow in the coming weeks, according to Bokis. “Following a simple software update to their POS terminals, all merchants that already accept contactless Dankort card payments will also be able to accept Dankort mobile payments,” the company says. To make a mobile payment using Dankort, customers must first download a wallet app from one of the Bokis member banks (bigger banks have their own wallets, while smaller local ones use the common My Wallet). Initially, these wallets will only be available to customers of Bokis banks. The wallet’s technology provider Nets offers a separate Dankort app for those who do not have a mobile wallet supporting Dankort payments. Pay with the touch of a finger. Copenhagen Fintech, a collaborative venture between the Danish Bankers Association, Financial Services Union Denmark, and the City of Copenhagen, has officially opened for business. Danish bank Ringkjøbing Landbobank has adopted a corporate actions tool from SmartStream Technologies, which it says should increase levels of automation and lead to a more efficient service for customers. Dankort, the national debit card of Denmark, has made shopping easier for consumers using iPhones.